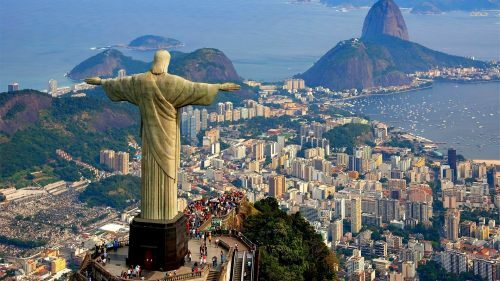 United Airlines and Delta are showing flights from Edmonton to Rio de Janeiro, Brazil for $661 to $701 CAD roundtrip including taxes. 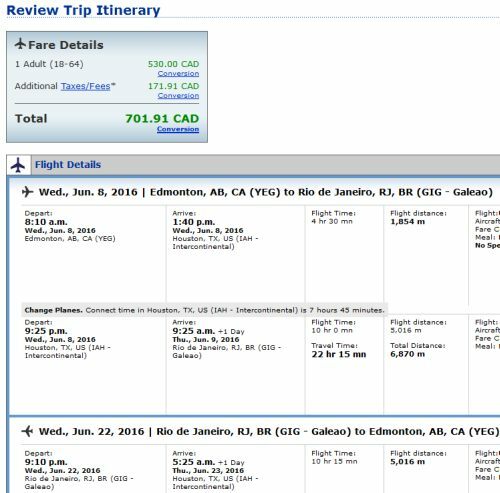 This is a new record for the cheapest flights from Edmonton to Rio de Janeiro. The $661 CAD flights are in April and May 2016. But what might be even more interesting is that June 2016 flights have dropped to $701 CAD roundtrip. This is interesting because Brazil is waiving the visa requirement for tourists visiting between June 1 and September 18, 2016, due to the Summer Olympics. edmonton, yeg, flight deals, delta, south america, united airlines, brazil, rio de janeiro, gig and rio.